A new season of sorcery and spaceships is upon us. Whether you're into lighthearted adventures or dark quests for glory, there's a little something for everyone in spring's crop of science fiction and fantasy books. To find our must-read list, we focused on what Goodreads members can't wait to read. We measured that anticipation by taking a look at how many times a book has been added to Want to Read shelves. From Blake Crouch's next mind-bending thriller to a magical collaboration between Cassandra Clare and Wesley Chu, these are the books sci-fi and fantasy fans will be talking about. What books will make it onto your Want to Read shelf? Let us know in the comments! Ambassador Mahit's predecessor is dead. As the threat of interstellar war looms, she investigates the murder and finds herself drawn to the secrets of an alien culture in this debut, the first installment in the Teixcalaan space opera series. 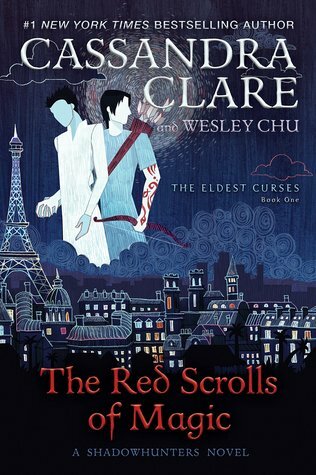 Clare, the author of the popular The Mortal Instruments YA series, and Chu, the author of The Lives of Tao, team up to deliver a new adult fantasy trilogy about an ancient warlock, his mortal lover, and a dangerous spell book of dark magic. The Scar is where rogue mages go to disappear. Sal the Cacophony walks the infamous wasteland with a blade and a gun. Her enemies want her head, but she demands vengeance in this first book in The Grave of Empires series. Inspired by the nostalgia of Stranger Things, the fantasy author of Prince of Thorns takes readers to an alternate 1986 in his first sci-fi series. It begins with boy genius Nick as he unravels a mystery of quantum proportions with his friends. In this spine-tingling debut, caver Gyre finds herself fighting for survival in the underground depths of a foreign planet. Her only ally is Em, her handler on the surface, who controls Gyre with drugs, arbitrary commands, and misinformation. Roger knows words, and Dodger knows numbers. The eccentric twins are more than human and less than gods—for now. Playing with dangerous alchemy, they attempt an "upgrade" in this dark fantasy from the author of Every Heart a Doorway. 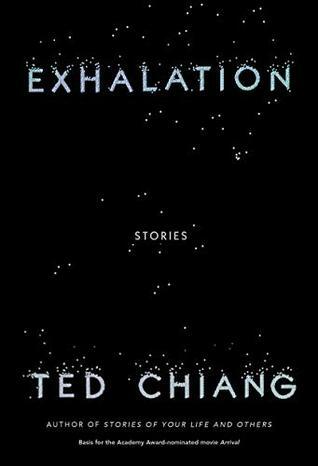 His last short story collection, The Stories of Your Life and Others, included the basis for the Academy Award-nominated film Arrival. Now Chiang is back with another kaleidoscope array of tales that explore artificial intelligence, beauty, and reality. Private investigator Ivy has a slight drinking problem and a major magic problem. Hired to solve a grisly murder at a school for sorcery, she reluctantly teams up with her gifted sister in this genre-bending debut that mixes fantasy and noir fiction. 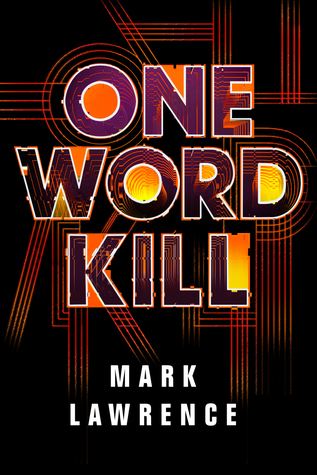 From the author of Dark Matter comes a sci-fi thriller about a mysterious disease that afflicts people with vivid memories of a life they never lived. But are the memories really false—or is someone trying to rewrite history? The crew of the Rocinante are scattered across the stars. Against an authoritarian ruler with godlike ambition, they mount a courageous rear-guard action, desperate to prevent the end of all humanity, in this next installment in The Expanse series. The Book of the Ancestor series continues as Nora, no longer a young girl, faces her final challenge to becoming a full sister in a convent of killers. She may not have time to earn her nun's habit, though, as war approaches her doorstep. In this sequel to Trail of Lighting, monster hunter Maggie vows to track down the White Locust, a figure out of Navajo legend. Along the way, she must battle body harvesters, newborn casino gods, and a cult leader wielding mythical powers. Wherever she goes, chaos is sure to follow. 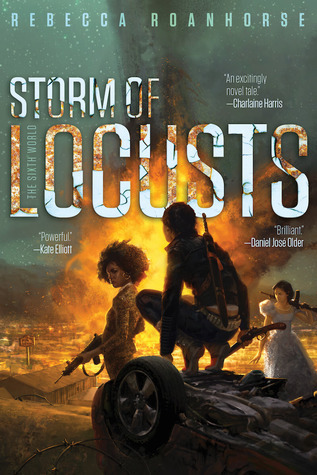 The latest Mercy Thompson book sees the car mechanic and coyote shape-shifter in over her head as she attempts to protect refugee humans from the Gray Lords of the fae and Death herself. 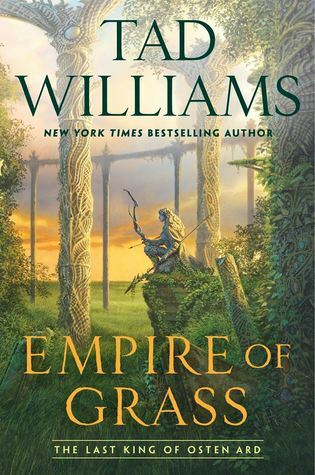 With their realm on the verge of a bloody civil war, King Simon and Queen Miriamele attempt to solve the deadly puzzle of the Witchwood Crown before it's too late in this epic next installment in The Last King of Osten Ard series. Thousands of years ago, terraformers on the planet Nod woke up something that was better left undisturbed. Now, as humans search for a new home away from a dying Earth, they turn to Nod in this thrilling sequel to Children of Time. Which sci-fi and fantasy books will you be adding to your Want to Read shelf? Let's talk books in the comments! I will read anything and everything by Blake Crouch. 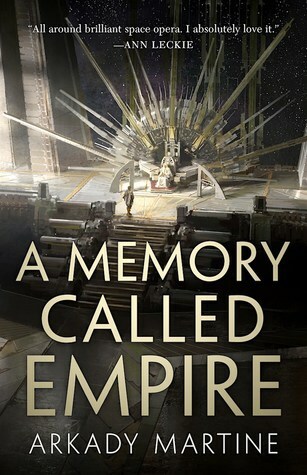 Both 'A Memory Called Empire' and 'Recursion' sound fascinating. I've never read anything by either of those authors before, and both these books sound like something I could get lost in. 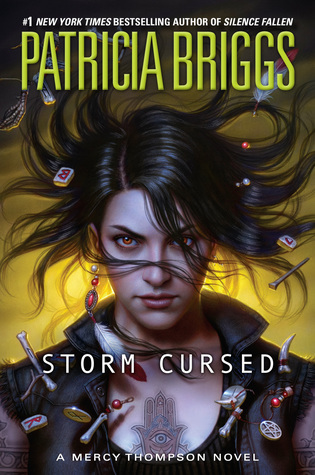 I'm dying to finally read another Mercy Thompson book ! I am so looking forward to almost all the standalones. Especially Middlegame. 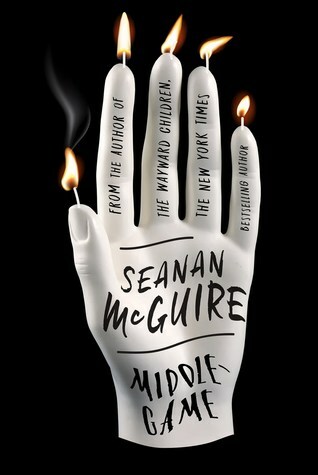 I will read aaaanything Seanan writes. 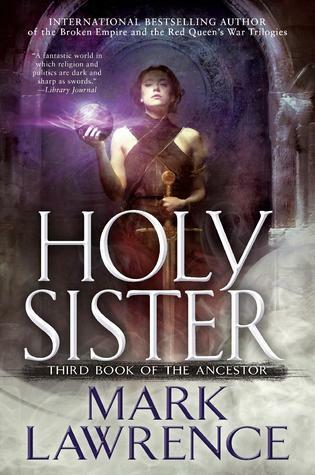 Can't wait to get my hands on Holy Sister. I'm most looking forward to A Memory Called Empire. The excerpt I read was great. 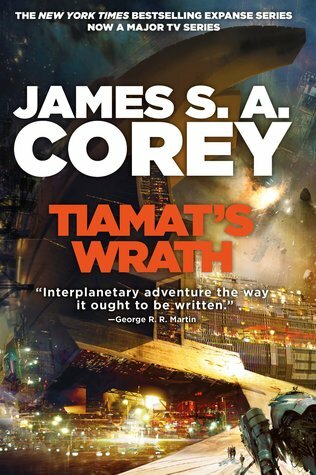 I'm also looking forward to Tiamat's Wrath but it also reminds me that I have some major catchup to do on The Expanse series. I've bought every one and have so far only read the first three & a couple of the novellas. 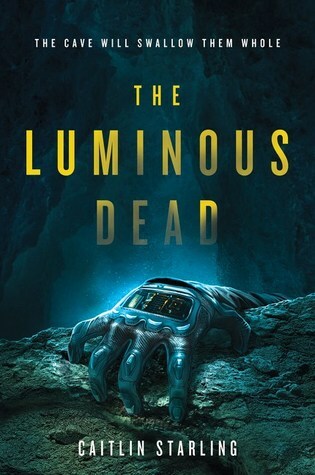 I hadn't heard of The Luminous Dead but it sounds good so I've added that to my TBR. Effie wrote: "Recursion and Tiamat's War are already in my TBR"
Nan wrote: "Effie wrote: "Recursion and Tiamat's War are already in my TBR"
TBR stands for 'To Be Read' - it's the shelf where you add books that you want to read so that you don't forget about them. ARC stands for 'Advanced Reader Copy'. These are book copies that publishers and authors send out to reviewers before the book is published to get reviews in advance. 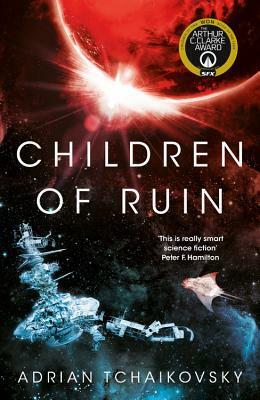 Harrison wrote: "Nan wrote: "Effie wrote: "Recursion and Tiamat's War are already in my TBR"
TBR stands for 'To Be Read' - it's the shelf..."
Thanks so much for clearing that up for me. Hi all, I’m looking for recommendations for a new series of books in the vein (haha) of the True Blood and Mercy Thompson genre. I’m not much into the YA books but I loved the Hunger Games series. Thanks in advance Nan. Corey's book Tiamath's wrath i definitely want to read. The luminous dead is also a must read. 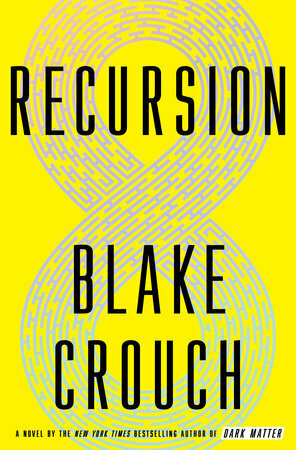 Bikram wrote: "I will read anything and everything by Blake Crouch." 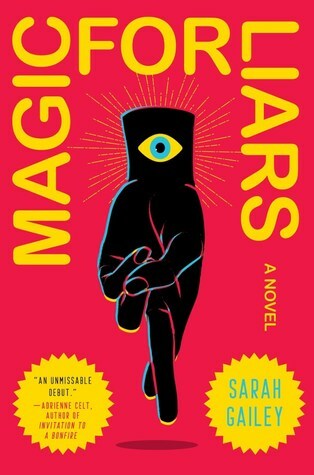 Not my usual genres, but Magic for Liars sounds pretty good! Great to have 2 books on the list! Aurora Rising is out by Amie Kaufman and Jay Kritstoff! Nan wrote: "Hi all, I’m looking for recommendations for a new series of books in the vein (haha) of the True Blood and Mercy Thompson genre. I’m not much into the YA books but I loved the Hunger Games series. ..."
The Mercy Thompson series are urban fantasy so I would really recommend looking into other big UF authors like Ilona Andrews, Seanan McGuire and Karen Chance. The Sookie Stackhouse series isn't urban fantasy but it straddles a few genres so a lot of people think it is urban fantasy or paranormal romance. The Jane True series by Nicole Peeler is similar but, imo, it felt too similar. The Beginner's Guide to Necromancy series by Hailey Edwards reminds me of the Sookie Stackhouse series in some ways e.g. the protagonist has powers and solves mysteries, her friendships/community helps the protagonist and it has a bit of romance and supernatural political drama. The writing style starts out a mix between NA and adult but as the series progresses, the writing improves. 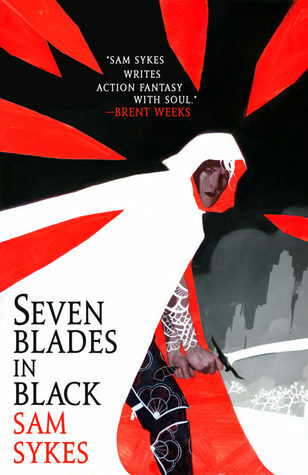 As a reader extremely fond of both your mentioned series I can with good conscience recommend The Iron Druid Chronicles by Kevin Hearn, Nevernight (thrilogy) by Jay Kristoff, The Kate Daniels Novels by Ilona Andrews and Women of the Otherworld by Kelley Armstrong. Excited for these! Also Break the Bodies, Haunt the Bones by Micah Dean Hicks is a new debut science fiction/fantasy with ghosts, robots, aliens, pig Frankenstein’s, a boy genius, a small and dying town, and Jane, who must save her family before the rising tide of the dead takes them over. It’s an amazing book just out this spring with John Joseph Adams books, an imprint of Houghton Mifflin Harcourt. Jason wrote: "I just knew I would see Rothfuss......... numb"
Where do you see Rothfuss? I just read The Great Divide: A Novel by new author Conor McCarthy. Set in the Canadian Rocky Mountains, the story has mystical mountain creatures, villains, and lots of action including climbing and avalanche scenes. The story is also a contemporary fantasy satire on the debate between development and preservation of parklands in the mountains. Definitely read Kim Harrison's "Hollows" series if you haven't already. The first book is "Dead Witch Walking." 13 books plus a prequel, easily one of my favorite series ever! So will I - he's one of my new favorite authors. Can't wait to read this one. Alex wrote: "Jason wrote: "I just knew I would see Rothfuss......... numb"
Where do you see Rothfuss?" Pretty sure that was a combination of wishful thinking and sarcasm. We are in year eight or nine between books two and three. I suggest Wen Spencer’s Tinker series or Rys Ford’s Black Dog Blues. Sounds like you might enjoy The Dresden Files series by Jim Butcher featuring a Chicago wizard, Harry Dresden, who often helps the police with strange cases involving unusual circumstances plus others who seek his help. Vampires, werewolves, fairies and more served with a dash of humor and well rounded characters. The Light Brigade by Kameron Hurley is probably top of my list. Bruce D Lahti wrote: "Pretty sure that was a combination of wishful thinking and sarcasm." Thought it might be. But in a world with GRRM, seems needless to call out Rothfuss. Thanks all for your recommendations. My wish list (or as I have recently learned TBR) is full again. I have read almost every day since I was 12, I’m 60 now so that’s a lot of books. That said, I have only read books in this genre for about 2 years. I started with the True Blood books and then went onto the Fever series (I think it was 10 boos) by Karen Marie Moning, After that I bounced around from book to book when I found the Mercy Thompson series that I have just finished last week. Please keep the suggestions coming on series that you like. I just placed my order for…. Can't wait for the 2nd book by Rebecca Roanhorse, loved the first one so much I have already read it twice. It is based in Dinetah (Navajo nation) after a worldwide flood has altered the country and Dinetah was protected from the destruction, lots of great monsters and action. And always ready for another Mercy books too. Karen wrote: "Can't wait for the 2nd book by Rebecca Roanhorse, loved the first one so much I have already read it twice. It is based in Dinetah (Navajo nation) after a worldwide flood has altered the country an..."
Just added another one to my TBR. Have you read any of the Tony Hillerman books? FYI: The series focuses on the adventures of Detectives Leghorn and Chee of the Navajo Tribal police force. Cendaquenta wrote: "I am so looking forward to almost all the standalones. Especially Middlegame. I will read aaaanything Seanan writes." Me too, she's a truly great author. I'm really disappointed that Larry Correia (Monster Hunter International series) and his amazing collection of series that covers everything from monsters are real (very gritty), Grim Noir (alt time-line), and Into the Storm and Into the Wild (amazing fantasy). He's got several new books in his series coming out this year. Yes, I know they're not being released this month, but when they do come out I've not seen any of his works touted. Maybe that's because he's not YA. Very sad and very lax reporting. Nan wrote: "Karen wrote: "Can't wait for the 2nd book by Rebecca Roanhorse, loved the first one so much I have already read it twice. It is based in Dinetah (Navajo nation) after a worldwide flood has altered ..."
Yes, I have just finished a re-read of all the Hillerman books, now I am reading the ones his daughter Anne wrote to carry on the series. Karen wrote: "Nan wrote: "Karen wrote: "Can't wait for the 2nd book by Rebecca Roanhorse, loved the first one so much I have already read it twice. It is based in Dinetah (Navajo nation) after a worldwide flood ..."
I have read three of her five books and thought she did a good job keeping the series going. Yes, I think her books are well done. Recursion and Children of time. I have to be honest, I am glad to be finished with Procession and I am currently clearing my mind with a classic by Silverberg.